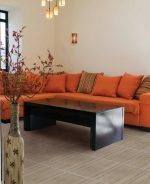 If you’re trying to find first-rate floor tile products in Brooklyn, Queens or Manhattan in New York City, all you have to do is head over to Home Art Tile Kitchen & Bath. 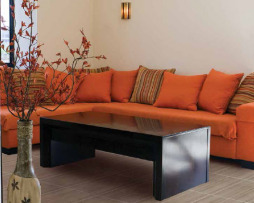 Our Long Island City business stocks a large selection of ceramic tile and porcelain tile options. If you’re daydreaming of flooring that’s attractive, sturdy and practical, you’ll appreciate the offerings that are available to you in our large showroom. Our showroom is open daily. It’s closed on Sundays, however. At Home Art Tile Kitchen & Bath, our ceramic tile options are truly extraordinary. If you have a penchant for flooring that has multiple uses, you’ll love our ceramic tiles. People use them in laundry rooms, on kitchen countertops and in bathrooms galore. Ceramic tiles are very strong and are made of a combination of sand, clay and various inorganic components. If you love beauty and strength, you’ll truly appreciate our many choices in ceramic tiles. Our porcelain tile options are truly pristine and lovely. If you love variety, you’ll love our selection of porcelain tiles. Whether you’re mad for the look of concrete, metal, fabric, wood or stone, you’ll definitely be able to find something wonderful for your home here at Home Art Tile Kitchen & Bath. 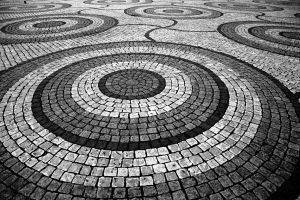 If you’re investigating all of your choices in floor tiles in Brooklyn, Queens and Manhattan, we can save the day for you at Home Art Tile Kitchen & Bath. Our floor tile choices are truly abundant. If you visit our spacious and airy showroom, you’ll be able to get closer looks at everything we have available for you. Remember, our selection isn’t restricted just to porcelain tiles and ceramic tiles, either. We also stock a vast selection of gorgeous marble tiles, limestone tiles, sandstone tiles, granite tiles, travertine tiles, slate tiles and quartzite tiles. If you have any questions about our beautiful floor tiles, give our business a call as soon as possible.